I am a real estate professional with 14 years of FULL TIME, local experience as a listing and buyer’s agent in Naples, Bonita Springs and Estero in SW FL. I have been involved in the area for 30 years and have seen the way the area has changed and developed over that time. I take pride in the fact that 90% of my business is the result of referrals from happy clients. 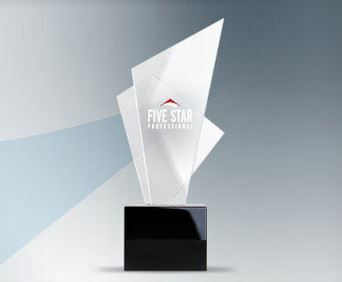 I consistently rank in the top 5% of all realtors in the area; I received a Downing-Frye Platinum performance award for 2015 and was voted 5 Star Professional for the past 6 years by very satisfied customers independently surveyed for Gulf Shore Life Magazine. I consider this a great compliment as I value relationships and find it incredibly rewarding to be asked to list the property of clients I worked with several years ago and to help them find their next home; it demonstrates that they were happy with their choice and that they trust me to help them again. Having worked in international commerce, managing long term business relationships in the UK and Hong Kong, I have the experience to remain calm in stressful business situations and the tenacity to see a deal through to a successful conclusion. I enjoy a lively negotiation, but I know that honesty and integrity are the foundation of a lasting business relationship. I am extremely results driven, and once I’ve committed to something I see it through no matter what. Unusually for a realtor, I interview clients as much as they interview me to evaluate whether we will be a good team; I take clients on for the long term and want their family and friends too. I don’t collect listings, and don’t accept more work than I can handle. I have the backup of the biggest real estate brokerage in SW FL, Downing Frye Realty, but I run my business like a boutique company, with quality personal service always. 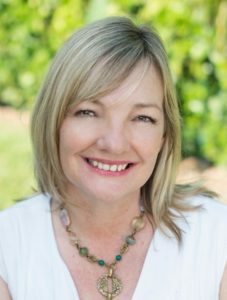 In addition to having lived and worked on three different continents, I hold a ‘Certified International Property Specialist’ qualification; I have experience and understanding of regional differences in real estate process that many realtors wouldn’t be aware existed. I take a very hands on approach to helping my clients, guiding sellers and buyers through each step of the process to ensure that we achieve your goals; I have a great support network of other colleagues, mortgage brokers, stagers, decorators, contractors, cleaners and handymen, all ready to work with you to ensure that you are happy in your new dream home. I’m ready to help you today. On a more personal note, I love animals (we have 2 chocolate Labradors and a cat!) I enjoy travel to exotic places, food of all descriptions, music and the arts.